What would Atlanta be without brunch? Healthier, slimmer, more sober? Absolutely. But we’d also be weak as hell, as brunch fortifies the mind, body, and soul, particularly on Sundays (speaking of which, shout-out to the Georgia Senate for passing the Brunch Bill). We eat enough gut-busting weekend food to literally change the law. Let that settle in for a second. 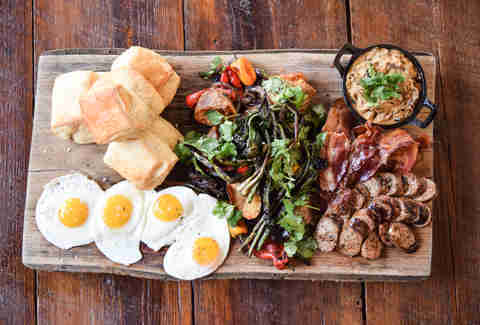 And in honor of these changing times, here’s the freshest list of where you’ll be brunching for the foreseeable future. You’ll notice that we went back to some of the classics, where they never fail to feed you exceptionally well when you need it most. 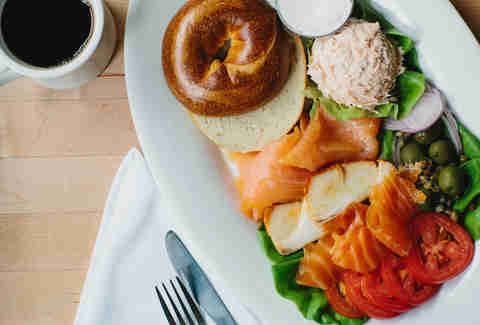 New York Jewish delis are legendary for their bagels, schmears, and smoked fish. Atlanta is legendary for eating. Put the two together, and add an interior of sparkling white subway tile with gold-painted menu items on the windows, and you get The General Muir, where the pastrami is unbelievable, the eggs are top-notch, and the schmaltz potatoes -- cooked chicken fat confit-style -- will heal whatever you did to yourself the night before. The bar makes a killer pamplemousse gin cocktail and other brunch drinks, and the menu gets everything right -- but it really excels with bread. That’s because the team, which includes exec chef and partner Todd Ginsberg, also runs a local baking operation called TGM, which is how they get that fantastic rye, challah, and more. BeltLine brunch became a thing when Ladybird arrived in ATL three years ago. Since then, the outdoor enthusiast’s spot has quickly become one of the city’s gold standards, which isn’t at all easy in a city like Atlanta where biscuits and Bellinis are basically their own Sunday religion. You’re here to drink and eat, in that order, so they keep a seasonal patio punch, which at $55 gives four folks two pours apiece. They have two cocktails: a “redneck mimosa” (High Life + OJ) and a green chile vodka bloody with Charleston mix. The eating part includes breakfast tacos with chorizo scrambled eggs, avocado toast on sourdough, a Nashville hot chicken biscuit, and the crumbly migas made with a corn tortilla, eggs, chorizo, black bean, Cheddar, ash salsa, and sour cream, and by its very makeup is neither bad nor bougie. Yes, there will be a line. No, there are not reservations. But there are brunchables, and they last from 9am to 4pm on the weekends. There are sweet potato waffles, which go great with the fried chicken and whiskey peach compote; there’s also beef, turkey, and lamb burgers, lobster rolls, a fried pork chop banh mi, and lots of breaded delights. 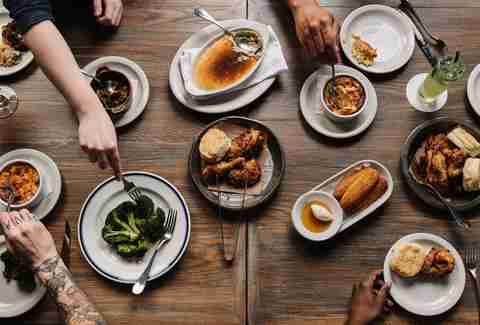 If you’re big on having your plate loaded up, look to the section of the menu titled “The Dish,” where you’ll see the “Southern Comfort” meal of shrimp/grits, fried eggs, and Texas toast, among other soul-settling Saturday mid-morning meals. 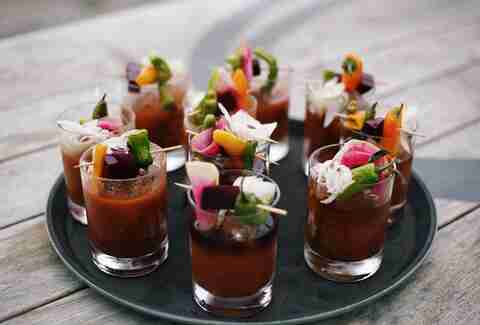 Oh, and get a Bloody -- they make them well. Actually, get three. AD has been a foundational brunch spot since AD meant something entirely different in terms of time. The patio out front, with all its huge potted plants, feels French enough to fool you with its fenced-in flower action and romantic setting. Prices are very reasonable: a $13 crab cake Benedict or lobster crostini on ciabatta with white wine butter sauce, shiitakes, tomatoes, and shallots will do the deal, leaving room for an $8 or $9 specialty drink. Do the Tuscan Icepick (sweet tea, citron vodka, and lemon juice), or the Breakfast of Champions (Guinness, Jameson, smoked Bloody mix, and a veggie kabob), and you’ll be out in under $25. This little pink market with saucer plates decorating the walls serves breakfast all day, so it’s no tall order to order it in the afternoon and call it brunch. Ask for a bowl of slow-cooked “Best Ever” oatmeal (which comes with house-made almond pralines and warm maple syrup), or have one of several sandwiches that include custom-built ones with your choice of bread (Parmesan biscuit, everything bagel, etc. 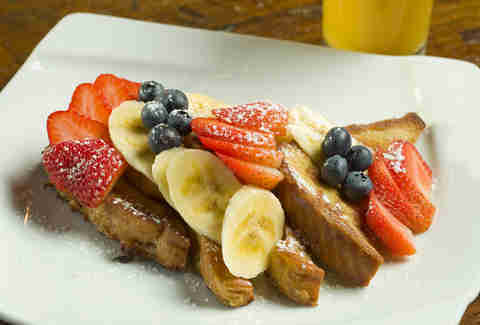 ), a selection of paninis, and one made with vanilla-rum-battered French toast, scrambled eggs, and topped with either bacon or Delia’s chicken sausage. They also have grilled street tacos with chorizo from The Spotted Trotter, a grits stack with marinated shrimp, bacon, Cheddar, and scrambled eggs, and a variety of local products in their market section. The couple behind Decatur’s Cakes & Ale put B&B in the Inman Quarter development just to make you really happy, or at least that’s what the space’s bright green-tiled, European bistro-styled interior with yellow accents would have you believe. Those tall floor-to-ceiling windows let you peep the Elizabeth St action, although the best options are just below your chin on the plate. It begins with coffee and pastries at 8:30am, and opens up to the full menu, which includes a Gruyere quiche with caramelized onion, the pancake short stack, and the Burger Americain on brioche, from 10:30am to 3pm. Don’t forget that their breads are amazing (you might even say the butter makes them fly), because they come from Proof Bakeshop, which is also under the restaurant group’s ownership. 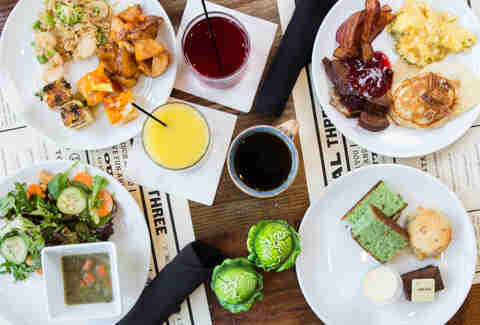 If you had no idea that Atlanta had great brunch, independently of other cities, you’d be well excused to find yourself eating Four Seasons Sunday brunch. First, you’ll feel like you have discretionary income (hopefully that’s true), but you’ll also feel like you’re first-class feasting with plates like lobster pot pie, or carving station options like smoked prime rib and whole roasted Verlasso salmon, which has a cleaner flavor than average salmon due to farming techniques that allow more room to swim and therefore make the fish less fat. There’s also a good amount of shrimp, oysters, and crab claws at the ready, as well as standards from eggs-your-way and made-to-order omelets. The trifecta of Todd Mussman, Ryan Turner, and Chris Hall gives you perfection in adult weekend morning food by basically running a brunch buffet through their kitchen... which you’ll walk through as you interact with the cooks. You drop $25 and get to take as many passes through the meal line as you like, eating up cinnamon rolls, handmade biscuits with chorizo gravy, the quiche du jour, white pizza, and pork chilaquiles. The brunch drinks include a Zing Zang Bloody, a Kentucky Mule with house-made ginger beer, and a barrel-aged Manhattan, all of which go down smoothly as you enjoy the handmade wood furnishings and the hanging portrait of The Dude with his robe and morning coffee. This is one of those brunches where the crowd’s devil-may-care attitude is part of the appeal. The ideal thing is to arrive early enough to get one of the outside tables facing Flat Shoals, so you can watch all the other weirdos (you’re one too) moving about the EAV strip. But even if you’re inside, there’s a communal vibe that comes from the fact that you’re in a space named after a comic book, about to eat food suited for your inner child. 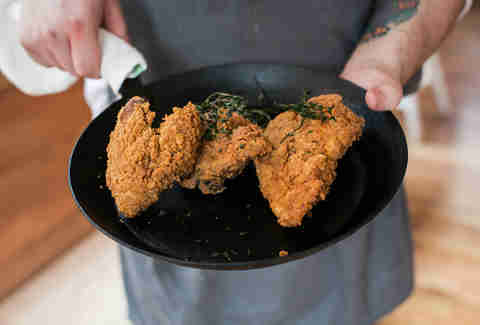 That food, which includes spicy fried boneless chicken thighs with pancakes and bourbon syrup, is made with local and regional purveyors like The Spotted Trotter meats and H&F Bread Co. The build-your-own Bloody Mary and mimosa bars are a major brunch draw at this admittedly way-OTP seafood spot. 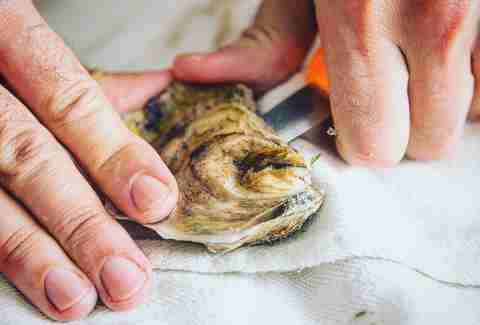 It’ll feed you with stuffings specifically sourced from the Southeast coast, from the Outer Banks to the Delta. The spot’s owned by the C&S Seafood team, so you can’t go wrong with a crab cake or crawfish étouffée Benedict, or the shrimp and Parmesan truffle grits. The French toast comes with vanilla gelato, praline bacon, and prayers for your blood sugar levels, which may or may not mean you should order the Holy Trinity fried potato hash as a side. Then of course end with bite-sized triangle beignets, which look smaller than they actually taste. The biscuits, beignets, and brunch cocktails here are as exceptional as the fried chicken biscuit plate. 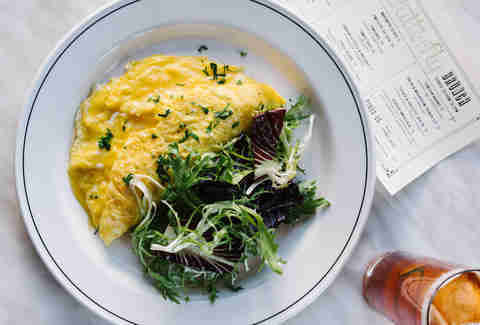 That’s the thing about R+D -- they’ve researched and developed a brunch menu that’s consistent across the board, whether you’re into pork belly crisped with apple butter reduction and Old Rasputin Russian imperial stout (The Gringo), or the simpler grits dish that can be mixed with Cheddar and sawmill gravy, country ham, egg, or bacon. They make a Sierra Nevada Summerfest michelada with Charleston Bloody mix, as well as a classic Pimm’s Cup and a mezcal concoction called the Speedy Gonzales, which also has Fernet-Vallet, nitro coffee, and agave nectar. And you can order a punch for two... if you like French 75s or sweetened rye cocktails. It also boasts great upstairs and downstairs seating that looks out onto a soccer field, where you might catch a pickup game to watch while you feast. This taxidermy-decked restaurant is famous for much of its cuisine (ask for the “Meatstick” burger if you’re in that mood), but it truly shines during brunch. It serves a one-year house-cured ham with hot peppers, black pepper biscuits with sausage gravy, sofrito-stewed ice blue mussels, and buttermilk fried chicken and waffles with sorghum syrup. But wait... there’s more: Berkshire bacon strips, Anson Mills grits... Come on! And there’s even a kimchi Bloody Mary. The name itself tells you that the folks working in this deep blue wood-paneled restaurant understand your needs, and theirs -- you can’t serve proper breakfast from a kitchen without lots of buttermilk. You also can’t serve food this good without a chef/owner like Suzanne Vizethann, an ATL native who’s been featured on Chopped, the TODAY show, and numerous other media. The chicken biscuit is the business, but there are also special weekend-only dishes like the bacon, egg, & cheese muffin... which is actually made with fried pork belly and pimento. Let’s not forget the French toast, which is fancied up with rhubarb jam, lemon poppy seeds, and whipped mascarpone. The newest kid on the brunch block is Ponce City Market’s rooftop beer garden restaurant. This means you’ll get that breathtaking ATL skyline view as you fill up on menu items launched just over a month ago. The house-smoked Bloody mix is matched with Tito’s vodka, and there are other drinks that will help level out the damage, whether you’re spritzing with the Trolley Car (gin, Aperol, soda, prosecco), or going all the way back in with the vodka/gin/tequila/rum (or bourbon) Sunday Smash, mixed with lemon and jalapeño maple. For food, there’s kielbasa, merguez, or bratwurst by the inch, popcorn shrimp and grits, French toast stuffed with bananas and topped with Grand Marnier syrup, and even a sticky bun topped with coffee butter that serves four mouths. This is literally how you start out on top. Chef Deborah VanTrece is once again surging, after relocating her Decatur restaurant known for consistently creative (and more importantly, delicious) takes on traditional soul food. And just as it was in The Dec, her brunch is a big deal -- you can tell by the fact that the brunch menu is the first one you see on the TS website. Of course there’s a chicken and waffles dish, but the twist is in the vanilla bean waffles, the ginger cardamom butter, and the bourbon maple syrup. There’s also the omelet, which lets crawfish groove with sausage gravy, peppers, jalapeño Jack cheese and balsamic potato hash. If those don’t work, try the PBJ pork belly burger, or the catfish plate. And cocktails like the Soultera, with Tanqueray, Luxardo, a squeeze of white grapefruit and orange bitters, are sure to keep you soulfully twisted as long as you like. You know Watershed makes some of the city’s best fried chicken, but Zeb Stevenson also doesn’t slack on the most important meal of the week. Get your early weekend buzz going with a peppered-gin-fueled Bloody Sunday. 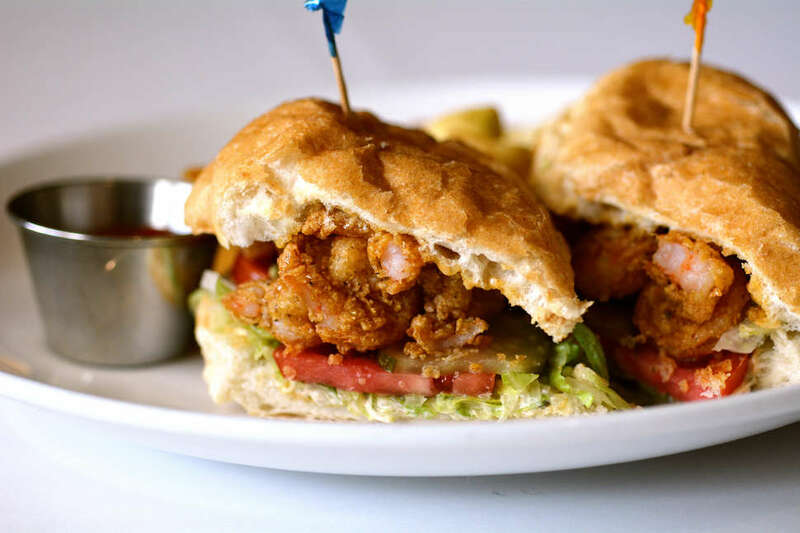 Then blast off with beignets, smoked wings, or chicken liver mousse, before mainlining yourself back from zombieland via the crabcake sandwich with benne slaw, or the standard favorite, chicken and dumplings. Stay for the caramel-iced, sea-salted hot milk cake, or the bourbon pecan pie, because you never planned to be productive this weekend anyway. People who love eggs and “Old Atlanta” love Murphy’s. Here you get eggs-actly (sorry) what you want, in various format, whether that’s “Santa Fe” (scrambled in a flour tortilla with Cheddar, peppers, cilantro, and ranchero sauce), “San Francisco” (with spinach, tomatoes, hollandaise, and poached eggs on an English muffin), or “Virginia Highland,” which is similar to ‘Frisco, but on focaccia with sun-dried tomato hollandaise and a sense of overhyped entitlement. Oh, they’ve also got a killer house blend of coffee, specially made by Uncommon Grounds in Berkeley, California -- but also stay local with espresso from Batdorf & Bronson. Spend your weekend morning in Midtown and get back to being true-school ATL. Too often, we start looking away from folks who’ve mastered the whole #brunchlife thing, But SCKB keeps defying those odds, just as all the other locations do, with their tried-and-true menu that’s as wonderfully fried and baked as you when wake up Sunday morning. You need the fried green tomatoes, so start there. The waffle is made with malted buttermilk and is accompanied by Springer Mountain, which needs no introduction in Georgia. 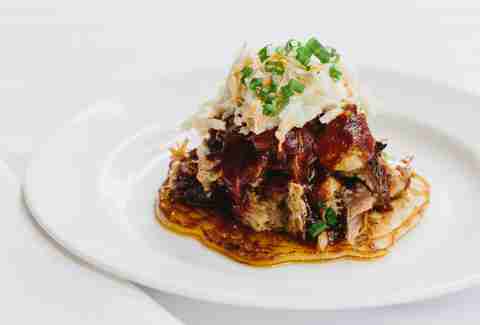 Their benedicts -- country ham or smoked brisket -- are made to put you back in the game protein-wise, although their Geechee stew will cure just about anything you have, hangover or just intense hunger. If you’ve never had the pastry basket from The Shed, order one immediately and eat it all by yourself. 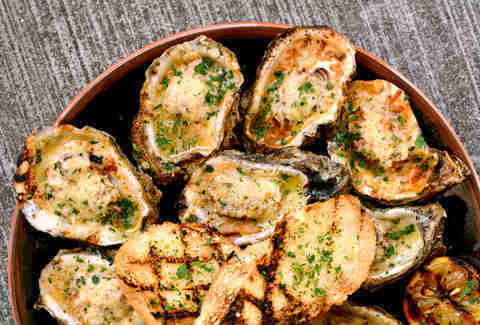 Also notable on The Shed’s slate of Saturday/Sunday afternoon eats are the Virginia oysters (or wherever they happen to catch ‘em), and the selection of hangover cures, which includes a meal called “...And If You Like Shrimp + Grits,” that consists of adobo shrimp, chorizo, pico, pimento cheese, and of course, grits. Or you can get the dry-aged beef burger, topped with bacon jam and poblano cheese. And you deserve brioche bread pudding, since you dragged yourself to Glenwood Park for an indulgent meal. Even if you just get pancakes, you came to the right place. Especially if you’re still game for a $22 pitcher of mimosa. Never give up! Mike Jordan eats brunch for you, Atlanta, because he loves you. He also loves himself. For proof, check his Insta and his Twitter.